Sun, wind, rain, cold — all can make your home uncomfortable and drive up your heating and cooling bills. European Rolling Shutters is an American company located in San Jose, California that manufactures a full line of motorized shading products including: exterior roll shutters, solar screens and awnings designed to control the weather conditions outside so they don’t interfere with your safety and enjoyment of your home. In warm climates, exterior rolling shutters and solar screens can reduce the amount of sunlight getting in through your windows and heating the air inside. Decreasing the amount of sunlight can lower air conditioning costs up to 40%. In cold climates, rolling shutters can prevent heat loss through your windows. Keeping your heat indoors also helps lower energy costs. 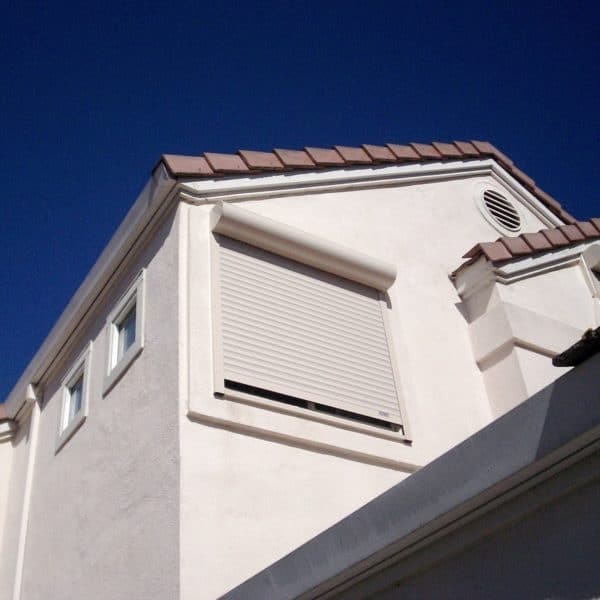 In all climates, rolling shutters can help protect your home from dangerous winds, rain, snow, ice, and hail. They also deter thieves from breaking in, putting you and your loved ones in danger. Do you have an outdoor space but can’t enjoy it because the sun makes it too hot? A retractable awning from European Rolling Shutters can turn it into livable outdoor space that is perfect for relaxing or entertaining family and friends. When not in use, the awning can be closed to prevent damage from unexpected storms. When the weather clears, just extend your awning once again and enjoy the outdoors. Their retractable solar screens not only reduce heat gain and loss through windows, they also dramatically cut the damage that ultraviolet light does to floors, walls, carpets and upholstery. 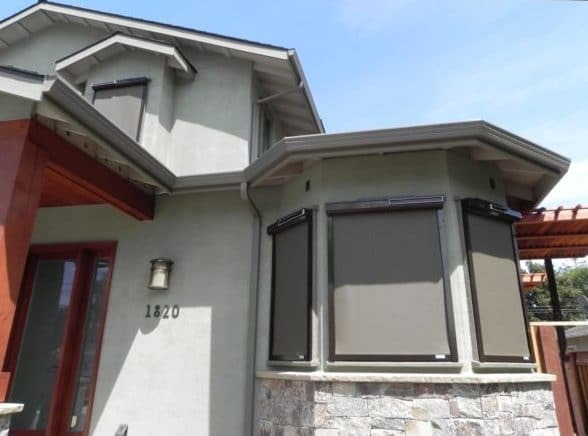 Retractable roller screens from ERS were installed on the first net zero home built in California, They help keep the house cool on sunny days, which greatly reduces the amount of electricity needed for air conditioning. The help maintain a comfortable indoor temperature without sacrificing the view outside the home. They can block up to 90% of the sun’s UV rays which decrease the sun’s heating effect more effectively than traditional interior window blinds. That keeps temperatures inside the home 15 to 20 degrees cooler. ERS is your one stop source for rolling shutters, roll up screens and retractable awnings. All are built in America using American workers and materials. Why not contact them today to get more information about saving energy in your home? They will be happy to assist you and recommend the best products for your individual needs. Can BE-Wind’s New Windmill Provide More Wind Power?